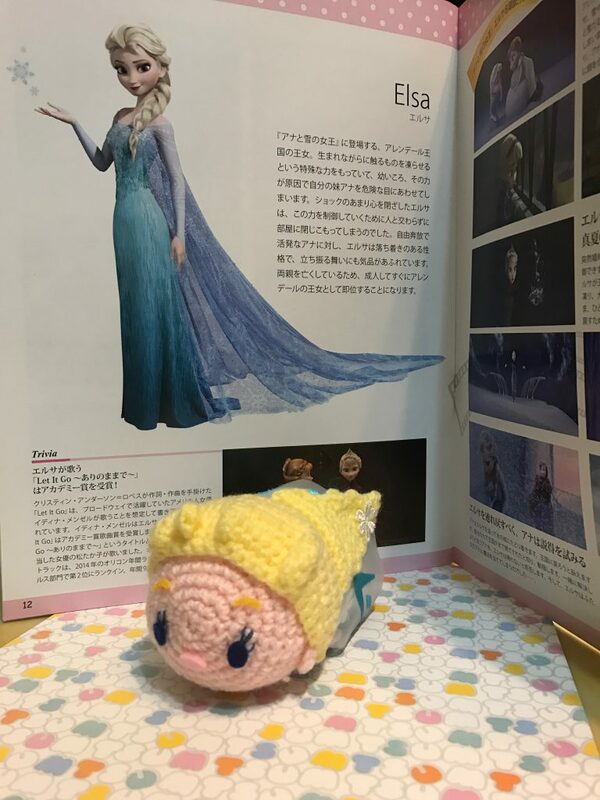 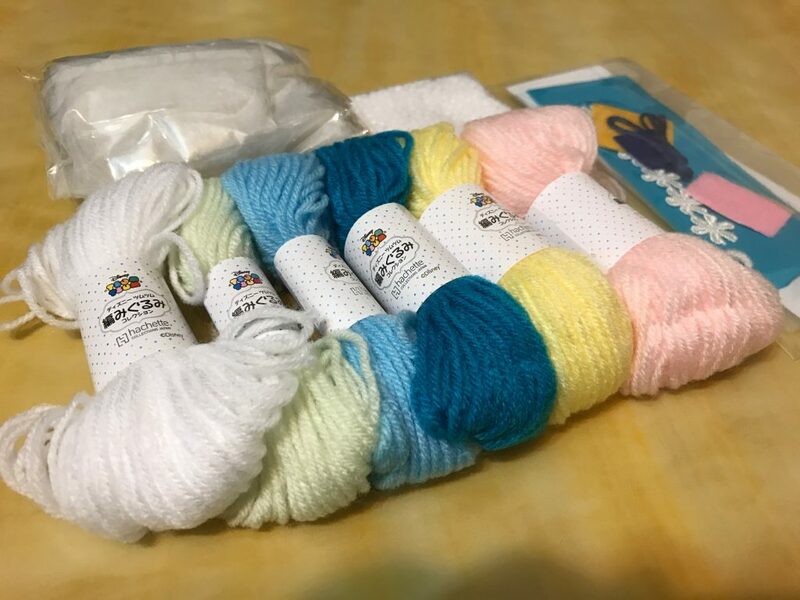 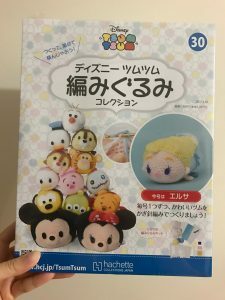 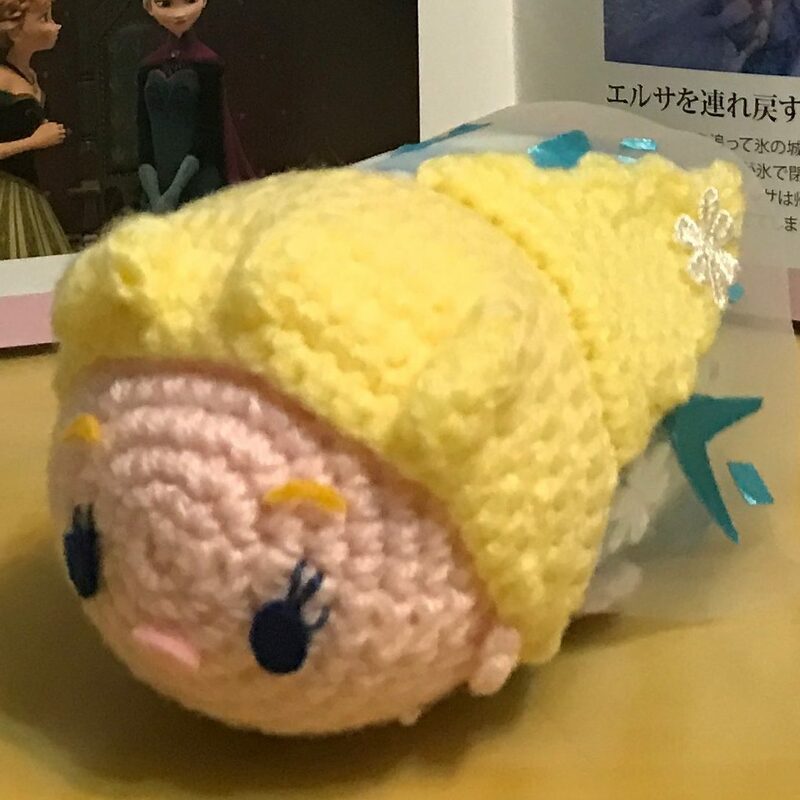 Disney Amigurumi TsumTsum Boxset Issue 30: Frozen Elsa Unbox! 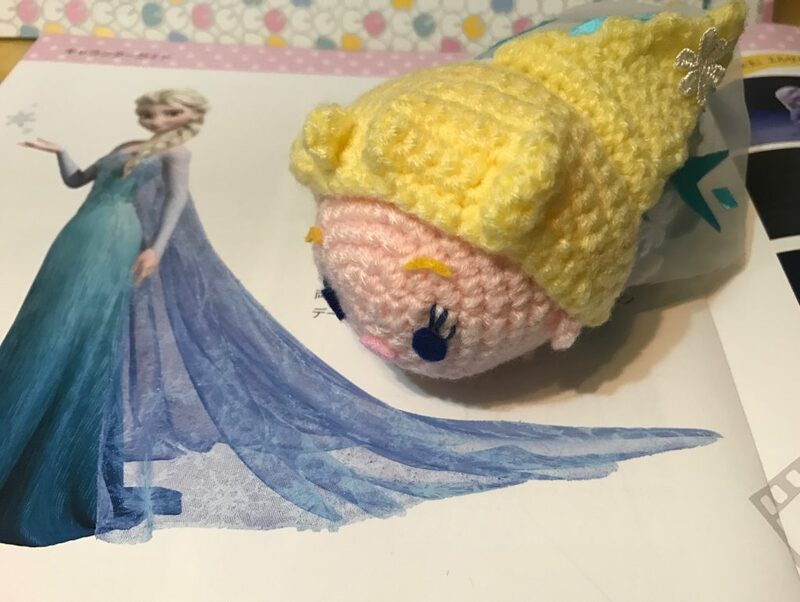 It’s quite hard to cut and stick Elsa’s dress due to its texture. 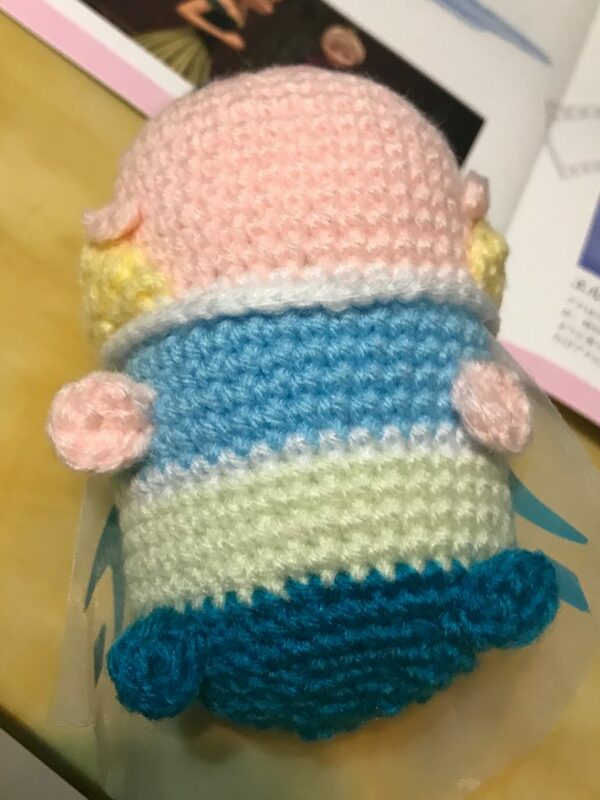 Even I used special glue for fabric, it took some time to fix the position. 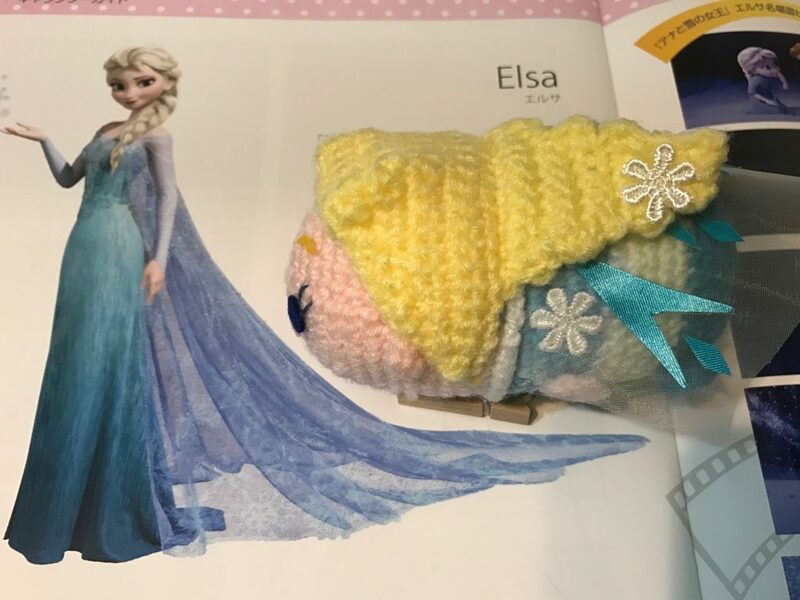 Take a photo of Elsa’s tummy to show the color layers of the body.